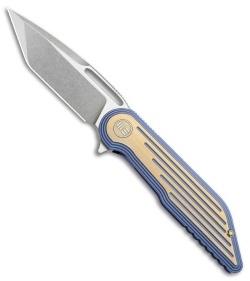 This model 616J from We Knife Co. sports a blue and gold anodized titanium handle and a stonewashed tanto blade. The 616 Resonance folding knife from WE Knife Co. offers a dependable flipper design for everyday use and carry. Its modified tanto style blade showcases a reinforced tip for effortless piercing and penetration. 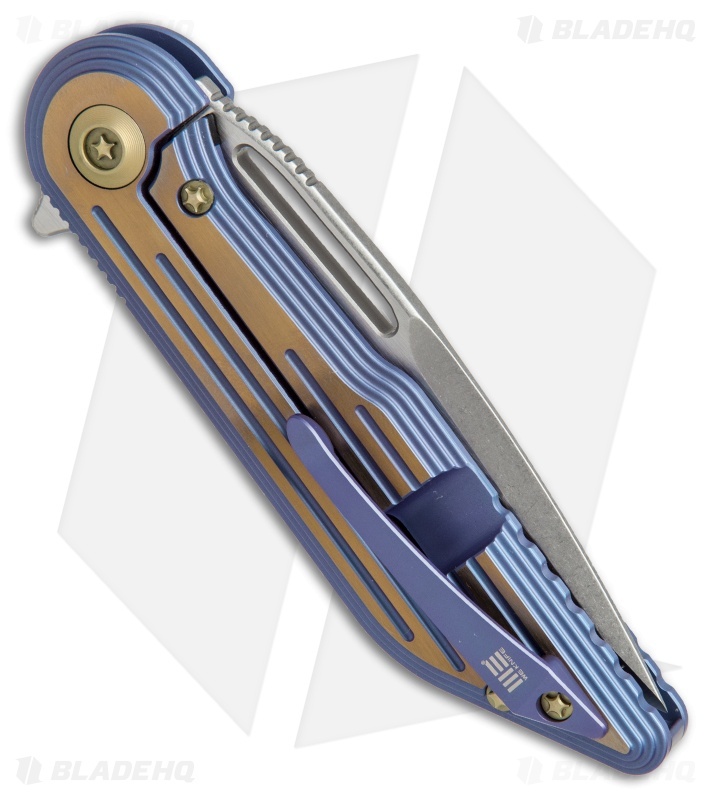 The 616 series boasts a ceramic ball bearing pivot for unbelievably responsive opening action with an integral blade flipper. 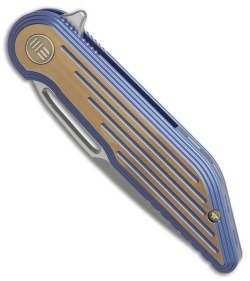 The thin titanium pocket clip stays out of the way when using the knife and clips comfortable to the pocket for tip-up carry. 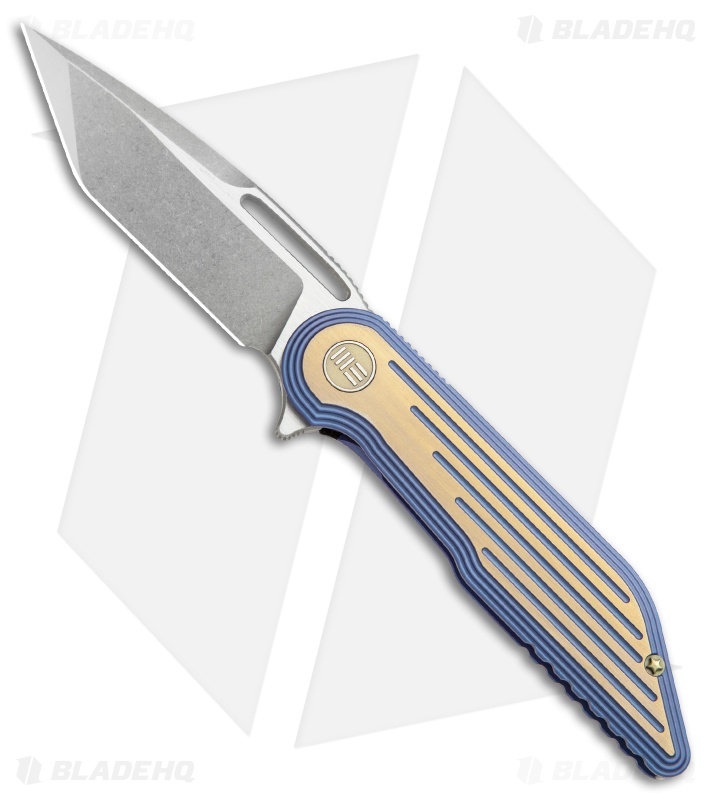 Brass anodized titanium hardware completes the solid EDC design. Bohler M390 blade steel offers superb edge retention and durability. Titanium construction for a sturdy and lightweight daily carry you can depend on.